The Stranglers are one of the most successful and longest-surviving bands to have originated in the UK punk scene. Formed in 1974, they signed to United Artists and released three top four albums in just 13 months during 1977 and 1978. In total they’ve notched up 23 UK top 40 singles – including no 2 single Golden Brown in 1982 – and 17 UK top 40 albums to date. Their musical sound was always a little more complex than their contemporaries too, with a lot of emphasis on Dave Greenfield’s Doorsesque riffs and JJ Burnel’s rasping bass. 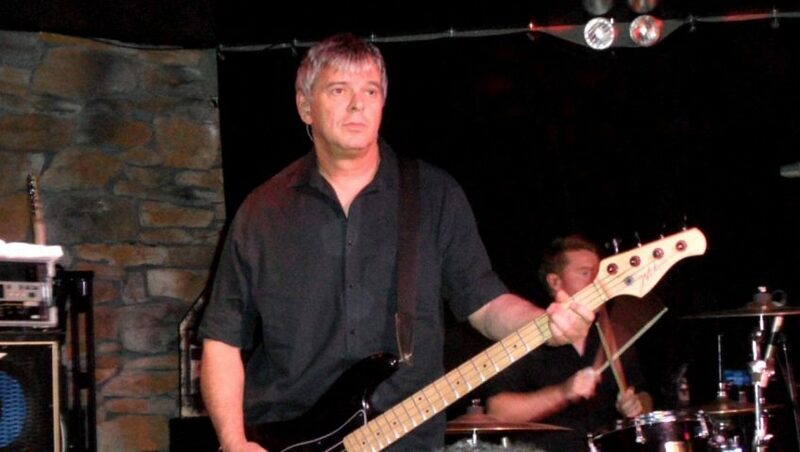 JJ Burnel playing with the Stranglers in Chicago, 2013. I was delighted to have a chat with JJ about the origins of the band and their early successes – and what they’ve been up to more recently. The band are currently writing new material and are just about to embark on a UK tour which takes them to Southend on March 21 and Brixton the following day. More news including summer dates can be found on the band’s official website.